Windstar is an intimate community, located on Bayshore Drive, with views of Port Royal. There are 554 residences spread over 556 acres. The property borders 2 miles of Naples Bay. The living styles include coach homes, villas, condos and single family homes. Prices range from the $170s to over $8million. Windstar has an 18 hole golf course designed by Tom Fazio. The newly renovated 33,000 square foot clubhouse includes formal and informal dining, all with incredible views of Naples Bay. Other amenities include tennis and a state of the art fitness and aerobic center. Members of Windstar have access to the private Keewaydin Island Beach with regular shuttle service to and from the island. The community also offers a 72 slip deep water marina with a Dock Master. Windstar is the only community in Naples with direct boat access to the Gulf of Mexico and a pro designed golf course, all in one location. You are within walking distance to the beautiful Naples Botanical Gardens and Hamilton Harbor Yacht Club. You are just minutes to Olde Naples with it’s upscale restaurants and shopping. 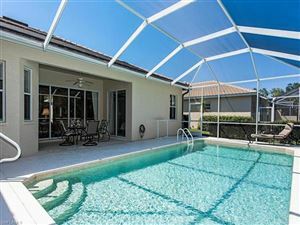 It is a great location with close proximity to the best Naples has to offer. Take a quick tour of Windstar Naples Fl now or contact me directly if you have any additional questions or needs.